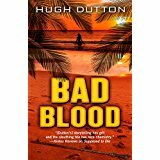 A fast-moving plot set in a Floridian Garden of Eden, Dutton's second novel (after Supposed To Die) is an exposé of absolute power corrupting absolutely. Brady is an ordinary Joe caught up in the vicissitudes of unbridled dishonesty. James Hall fans will relish this title.